I am very excited for this next feature! 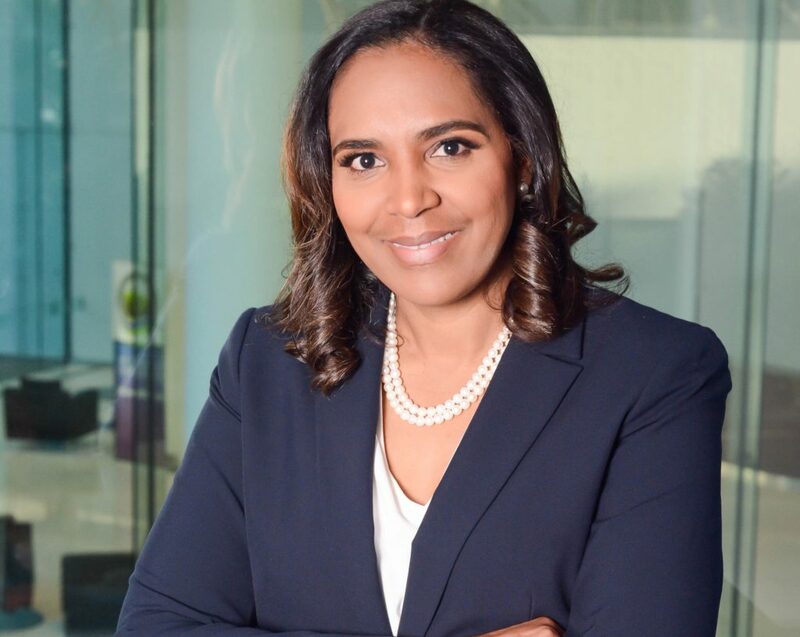 Mrs. Kenitra Williams is the embodiment of being a wife, mother of 3 children, and still living out her dream while being a Director and Co-Founder of The HUDDLE Group, a Software Development Manager for T-Mobile, and now being one of the co-owners to a Black Owned Gravity Indoor Trampoline Park located in Snellville, Georgia. Kenitra proves that no task is too small for her. She loves to serve others and help them reach their fullest potential through work and her various organizations. 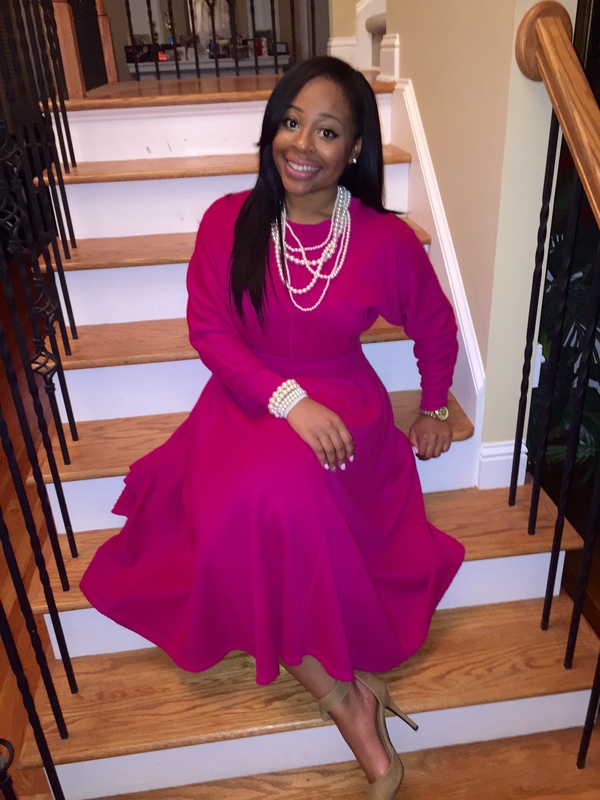 She is also a member of our beloved Sorority Alpha Kappa Alpha Sorority, Incorporated. Please Check out her story below! 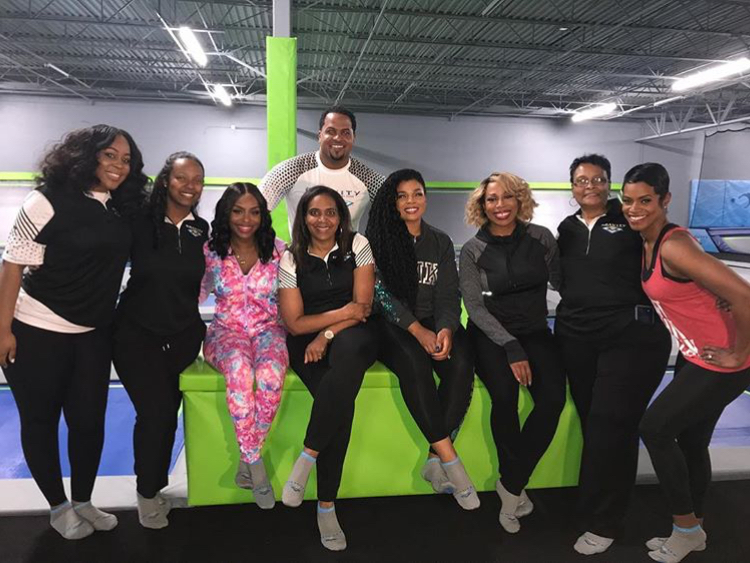 Ladies of Sister Circle TV join the Owners of Gravity Indoor Trampoline Park and Publicist Erica Dias for a day of fun! Hello Everyone, My name is Kenitra Williams. 2. Where were you born & raised? Did your upbringing have an influence what you wanted to do as an adult? I was born and raised in Pensacola, Florida, which is a military town. I earned my Bachelor of Science degree in Computer Information Systems at Florida A & M University (FAMU), and I recently also just received my Masters of Arts in Organizational Management with a specialization in Project Management from Ashford University. A lot of people may not remember these computers, but I remember receiving a Commodore 64 Computer as a Christmas gift when I was younger. I was so excited to play around with it, and that’s where my love for IT (Information Technology) developed. I’ve always just wanted to help people however I can reach their fullest potential. I am happy to say that both my degrees have contributed to my success personally and professionally in different ways, especially when diving into the new business venture of having a Gravity Indoor Trampoline Park. 3. What inspired the creation to open a Gravity Indoor Trampoline Park? My family & I knew we always wanted to own a family business where it was something that the whole family could come together as a whole and enjoy. Originally we looked into doing a Skating ring or having a Trampoline and Inflatable Park since those were really popular, but after speaking with a manufacturing company they advised us to just go completely with Trampoline attractions. I love that I started this business with my husband, mother in law, and sister in law. There’s nothing like working with family who have the same vision as you. 4. What are some key differences one will notice between your Trampoline Park and another location? Upon arrival at our location, you will see a few things that will set us apart from other trampoline parks immediately. As you walk through the doors you are greeted by people who genuinely care for you to be there. When you come to a fun open space like this, that means you want to have fun, and possibly take your mind off what is going on in the “outside world”. We are here to make sure you enjoy your experience from start to finish. We also wanted to make sure we had parents in mind when building this facility, so we do have a parent lounge where they can go relax, eat, use Wi-Fi, connect with other parents while their kids are playing. And speaking of kids, we are aware that a 5-year-old can’t be in the same jumping area as a 20-year-old, so we have created a safe space for them to jump on their own. We are also the first park to have a “WipeOut” attraction that eight people can use at a time. We also offer fitness classes, adult night, and themed events. And of course we also have an arcade, and concession stands. There is truly something for everyone here at our facility. 5. What are some key lessons you’ve learned from building your business? It is so important to have a good team. Everyone has different strengths which will help contribute to the success of the business. Be open for mistakes and failures. Those things will happen at some point, but learn how to grow from it, and make the necessary changes that need to be done. Just because you don’t have a background in something does not mean you can’t pursue it. Initially going into this business venture, none of us had a background in trampolines, but we knew collectively this was something we wanted to do. So we did the research ourselves and then the ball started rolling. It is important to listen to what your customers and staff have to say. Your staff is there almost every day, so they are the eyes and ears of the facility, so you want to make their working experience pleasant, and also see what improvements can be made so that the customer has a great experience overall. Have a great publicist! I am so grateful to have Erica Dias on my team. She has been very helpful from the start. Networking is very powerful, especially when starting a new venture, you need someone who sees your vision and knows how to promote it on your behalf. 6. Apart from co-owning the Gravity Indoor Trampoline Park, is there anything else that you do? Yes! As mentioned above, I am a Software Development Manager for T-Mobile and I love it. My team is awesome and very hands on which is very helpful, especially if I may need to leave to head to the Gravity Park, or I have a speaking engagement, I know everything is left in good hands. 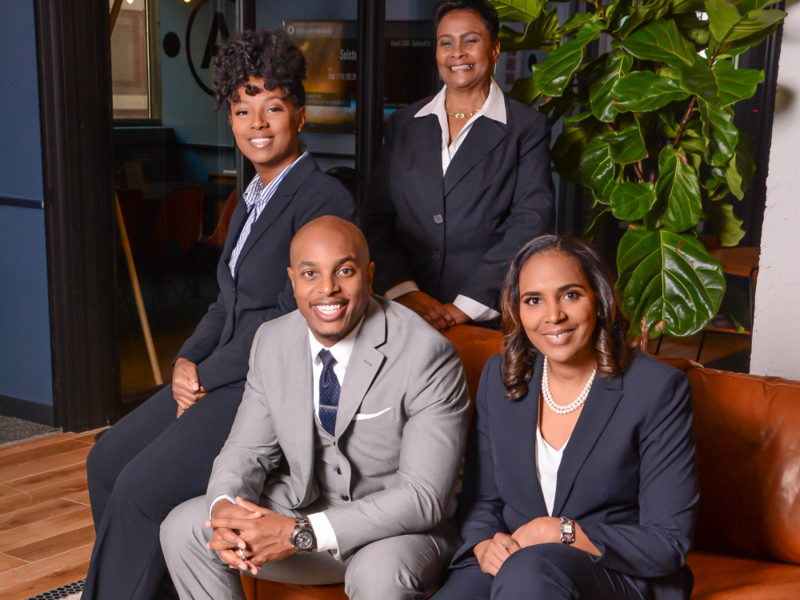 My husband and I also Co-Founded The HUDDLE Group, which is an organization that serves both Middle and High School Students in the Metro- Atlanta Area. 7. How do you juggle your everyday responsibilities being a wife, mother, business owner, and corporate woman? I have to say I have a GREAT TEAM. This team is comprised of my husband, kids, family and friends, and co-workers. They are always very supportive in anything that I do. My kids are also very understanding of my hectic schedule at times, which is great. 8. At the end of the day, what kind of legacy would you like to see the Gravity Indoor Trampoline Park create? I truly want people to have the best time ever. I want them to leave laughing and smiling, ready to plan their next trip back to our facility. Gravity Indoor Trampoline Park was created by a family who wanted to see other families come together in a fun and safe environment and enjoy themselves. Our main focus is to provide exceptional service and create an unforgettable experience they’ve never had before. When you walk through our doors, whatever is happening in the world, leave that outside and focus on whats going inside and have the best experience.